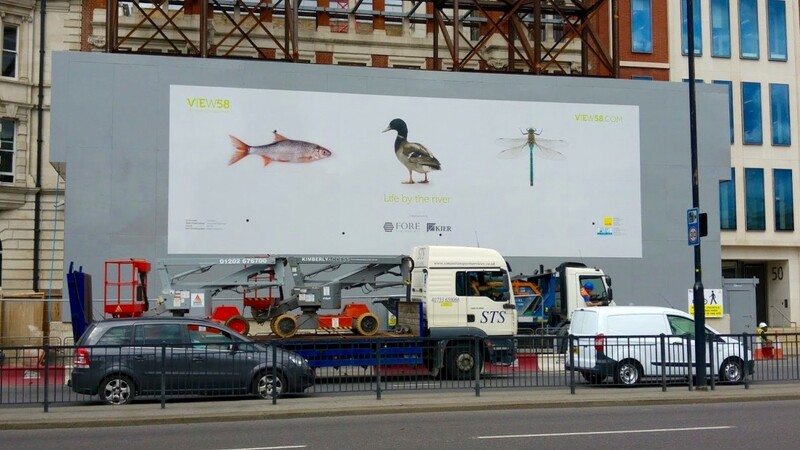 For the installation of tall printed site hoardings the team has a variety of impressive installations, one of which, at nearly 80 feet high, remains London’s tallest hoarding project. The 58 Victoria Embankment on the banks of the River Thames was commissioned by Kier & Core Developments who needed a solution to the unsightly steel retention structure that was visible during the development. The redevelopment into modern office space was highly anticipated and in a well trafficked area. The hoarding needed to provide protection for the general public and workers during the entirety of construction. The team at Embrace developed a printed site hoarding utilizing plywood and digitally printed Dibond ACM. 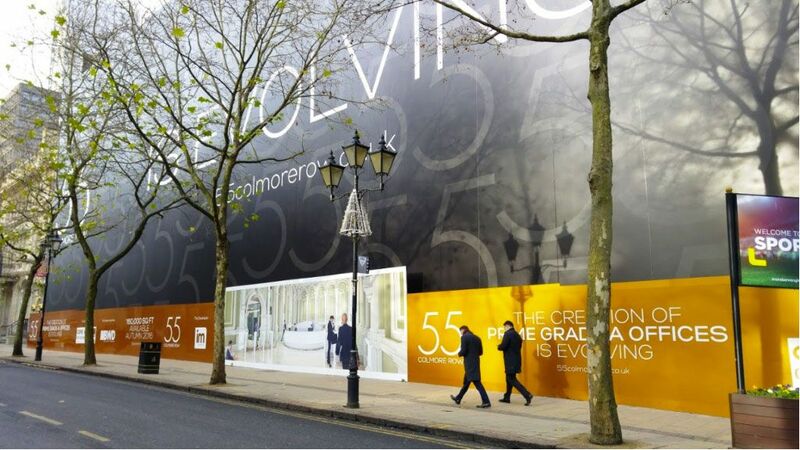 Representatives at Embrace explain, “Many clients use DIBOND® for boxing out at ground level when wrapping an entire building due to the durability.” An example of this type of hoarding installation is the Southampton Row Building wrap, hoarding, and billboard project in Bloomsbury. This development took the former offices of the Baptist Union of Great Britain and converted them into a luxury hotel. Embrace explains, “Our client wanted a complete wrap to cover the redevelopment words on the main face of the building to present a smart, professional image, along with graphics to the hoarding at street level and the introduction of a giant illuminated, high impact billboard.” Embrace created a giant banner with a minimalistic and stylish appearance that represented the hotel’s brand. Additionally, Dibond was printed to construct the perimeter site hoarding at street level, which creates a cohesive design. 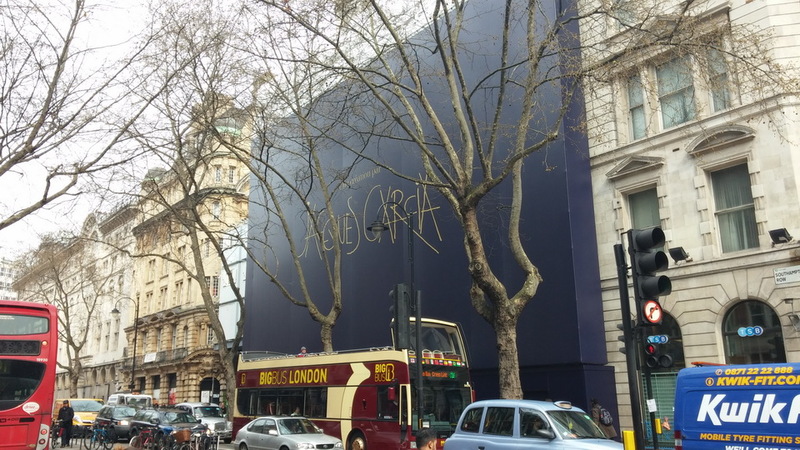 Dibond has proven a crucial substrate for Embrace Building Wraps utilizing their expertise to construct impressive, sophisticated and long-lasting hoarding systems.